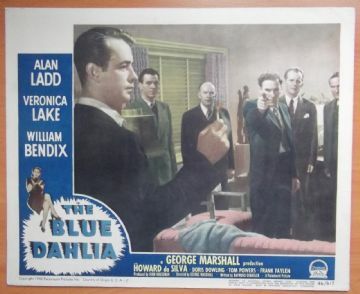 Original 1946 Lobby card from the classic Film Noir ' The Blue Dahlia ' starring Alan Ladd and Veronica Lake. 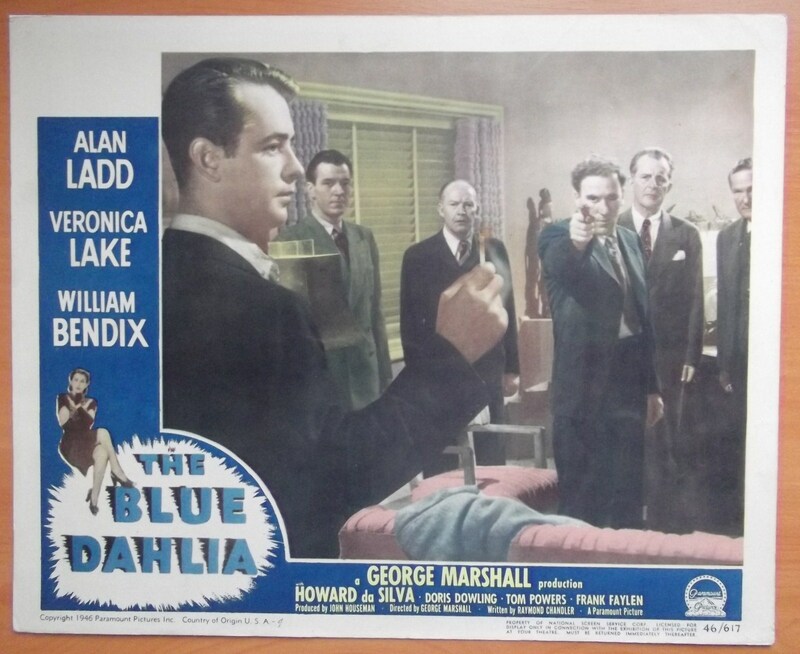 The Blue Dahlia is one of the best Noir films ever made, the original cards for this film rarely come up for sale. The Lobby Card is in Fine- condition and measures 11" x 14". This card has no pinholes and is in great condition. This is card #4 in the set.